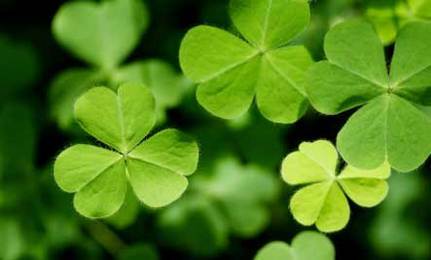 Photo: Care2.com – Click on the image to learn the legend of the shamrock and the background of this religious holiday. Not only is it Soapbox Sunday, it’s also St. Patrick’s Day! Traditionally a beer-lover’s day that the Irish and the “wannabe” Irish celebrate with corned beef, cabbage, soda bread, colcannon (cabbage and potatoes) and various other Irish dishes. Lots of green but what part of St. Patrick’s Day will you make greener? While claiming some Irish heritage I won’t be one to indulge in the traditional St. Patty’s Day fare. Recently I began fermenting vegetables after learning about the benefits of a healthy “gut flora”. My cabbage will be scooped from my current batch of pickled cabbage, somewhat like sauerkraut but with a fresher, crispier taste. Ah yes…cabbage from the Farmer’s Market grown by a local farmer… supporting local businesses and pesticide-free. Corned beef will be non-existent on my plate as I am not a fan of red meat. Do you know the meat industry along with its’ factory farming has been identified as the largest contributor of greenhouse gas emissions into the atmosphere…even more emissions than cars, planes and ships put together! Click here to read more about why “meat is not green“ and watch a short video about the meat you buy in the chain supermarkets. Opt for locally raised and organic meats for your health and our planet. Now what about the pint of brew you might enjoy today? Will it be green beer, dyed with the toxic chemicals of green food coloring? Will it be Guinness beer, the traditional beer? Unfortunately many traditional hops drinks, like Guinness, are made using harmful pesticides. If at all possible indulge in organic or vegan brews, many of which can be found in your local micro-breweries so you can take advantage of all the health benefits of beer. What…beer is healthy? More than quenching that thirst and hydrating your body, beer offers natural anti-oxidants and vitamins, especially the darker brews and fruit flavored ones. Click here to read about “5 Surprising Health Benefits of Beer”. Happy St. Patrick’s Day! Tell me what you did to make yours a little greener this year. Next ›A Loss Turns Into A Win For Consumers!